Rocket League Beach Blast Event Dated | Nerd Much? 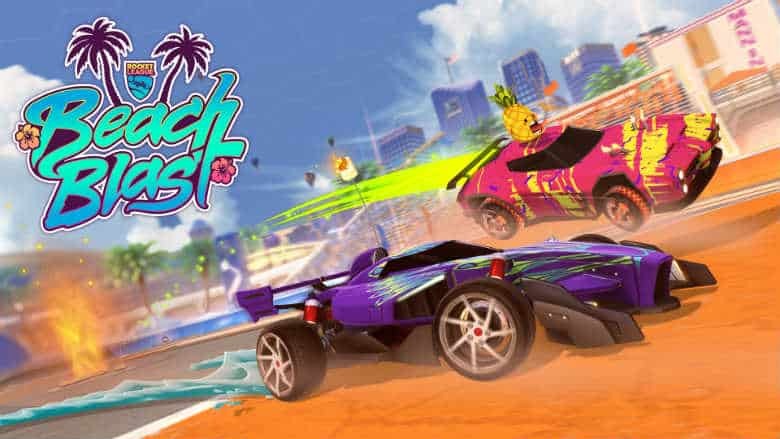 The upcoming Rocket League Beach Blast summer event has finally been given a date by the good folks at Psyonix. The event will have your cars soaking up the sun as of next week. Rocket League Beach Blast will debut on Monday, June 11th at 10:00 a.m. Pacific, 1:00 p.m. Eastern. The event’s duration will be about 3 weeks, with the conclusion of Beach Blast taking place on Monday, July 2nd at 5:00 p.m. Pacific, 8:00 p.m. Eastern. The new event will introduce Beach Blast crates with Shells being the earnable currency used to purchase them. To collect Shells, simply compete in Online matches and you’ll be rewarded with the calcareous exoskeletons as you complete each match. With the Shells, players can then head to the garage and choose amongst the 12 new items that are being introduced with the Beach Blast event. You’ll also have the option to spend your Shells on Decryptors instead. Decryptors can be used to unlock some of those crates that you’ve been hoarding. Outside of the Beach Blast event ending in July, Psyonix still has a ton planned ahead of us as we play car soccer through the summer. The game will debut premium Jurassic World car packs on June 18th. The pack features the iconic Jeeps known to traverse the movie’s park. And at some point over the summer the game will be updated to incorporate cross-platform friends and parties. Psyonix is working on tweaking the game’s leveling and XP during this time too. Also announced to be coming is a feature the developers are calling Rocket Pass. Rocket Pass functions very similarly to how Fortnite Battle Royale’s Battle Pass operates. Players purchase a Rocket Pass and then level up through tiers earning a ton of content and customization along the way. No word on when Psyonix plans to roll that feature out though.